This article is a review of FAST & FURIOUS 7 a.k.a. FURIOUS 7. From Jason Statham's exiting a decimated London hospital to The Rock taking out a military drone in Los Angeles with an ambulance, the seventh entry, into an enduring and easy to love franchise, ups the insanity, but reduces coherence. 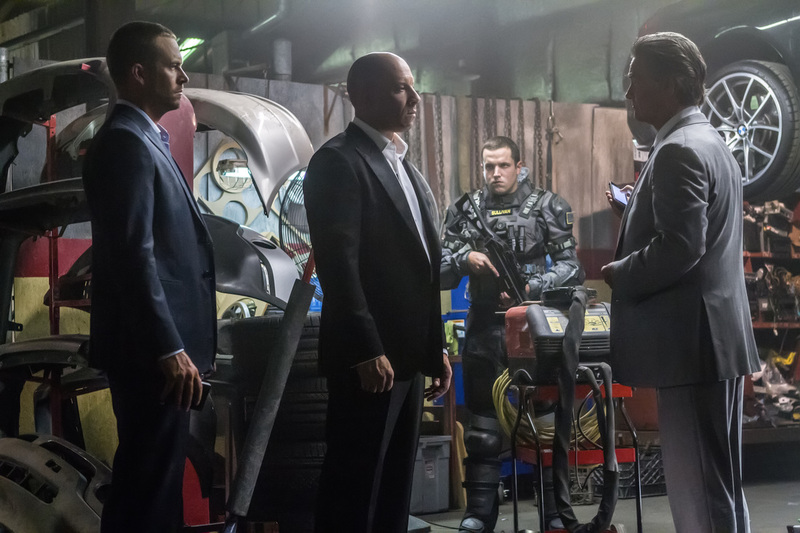 No matter how one rotates the movie for a different examination, this is unavoidably a disappointment from the highs of FAST FIVE and FURIOUS 6, which were giddy educations in delivery of blockbuster mayhem and series ante escalation. Justin Lin steps out of the director's seat after a four film in a row stint, making way for SAW helmer, James Wan. The latter's THE CONJURING was a slick horror that had one anticipating a leap into nine-figure budget movie-making. Unfortunately, only momentary shots of panache, camera matching body movements à la ACT OF VALOUR, are largely lost in a sea of fast edits and bland computer generated carnage (which similarly blighted the fourth entry). Real-looking stunts previously created palpable stakes and edge-of-the-seat thrills. Seemingly bewildered as to how to top earlier set-pieces, the admittedly smile-inducing outlandish noisy spectacle is opted for, e.g. a car jumps from skyscraper to skyscraper in Abu Dhabi. Notably, however, such sequences do not accelerate the pulse. For newbies, or those who aren't re-watching the earlier instalments in preparation, number seven has now caught up with number three, TOKYO DRIFT. Number four rewound time, and we were left with a cliffhanger after number six. One of our heroes, Han (Sung Kang), was murdered in Japan by vengeful Deckard Shaw (Statham), after the fast & furious gang chucked his brother, Owen (Luke Evans), out of a moving plane (on the world's longest runway). Deckard is a British special forces black ops assassin gone rogue. Brilliant pre-opening credits scene has Deckard promise his comatose crippled younger brother punishment meted to those responsible. The camera follows him out of the ward as we see the destruction he caused getting in: Armed police in large volumes lay strewn. Powell and Pressburger would surely have been proud of such economy of presentation. Globetrotting badasses - Azerbaijan to the Dominican Republic - calls to mind the teamwork of MISSION: IMPOSSIBLE (if the Impossible Mission Force a.k.a. IMF were petrolheads). For an action flick, it is refreshing to see women be included in the face offs, even if Mia (Jordana Brewster) keeps being left behind. Running out of reasons to keep her out from harm's clutches has her unimaginatively again pregnant. 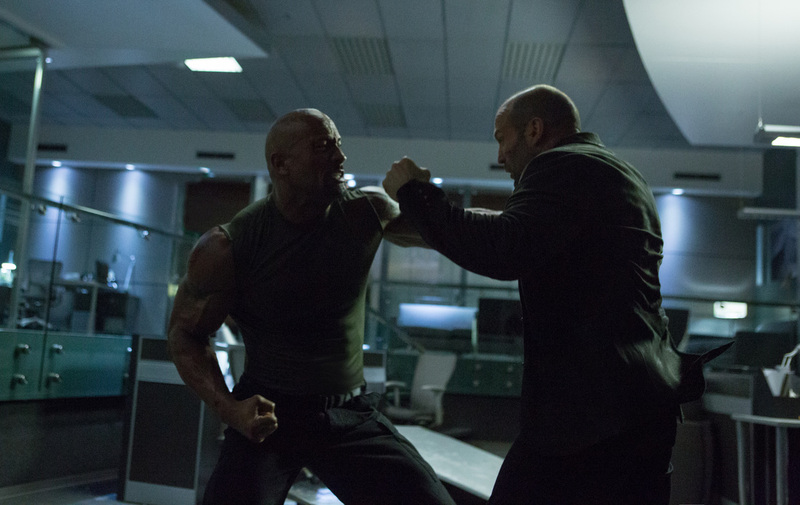 FURIOUS 7 should have been a lean revenge and counter-revenge story, soaked in the perfected brand of camaraderie, eye-rolling banter and jaw-dropping escapades. Something went wrong. Unnecessarily convoluted narrative stepped in. American government spook Mr Nobody (Kurt Russell, bringing his B-movie dressed as A-movie royalty) is added to the mix. He helpfully informs Dominic Toretto (Vin Diesel) and pals that to find the elusive Deckard, on their terms, they will have to get hold of a DARK KNIGHT-esque piece of tech called the "God's Eye", which can use any camera and microphone connected to the internet to pinpoint a chosen person. But first they need to rescue the hacker who invented it. She doesn't have the McGuffin of course. It was posted somewhere else. Really? Talk about padding. Beyond the beginning 15 minutes, there are no standout moments. The Rock is hospitalised quickly. Benching one of your star players so early was a mistake. 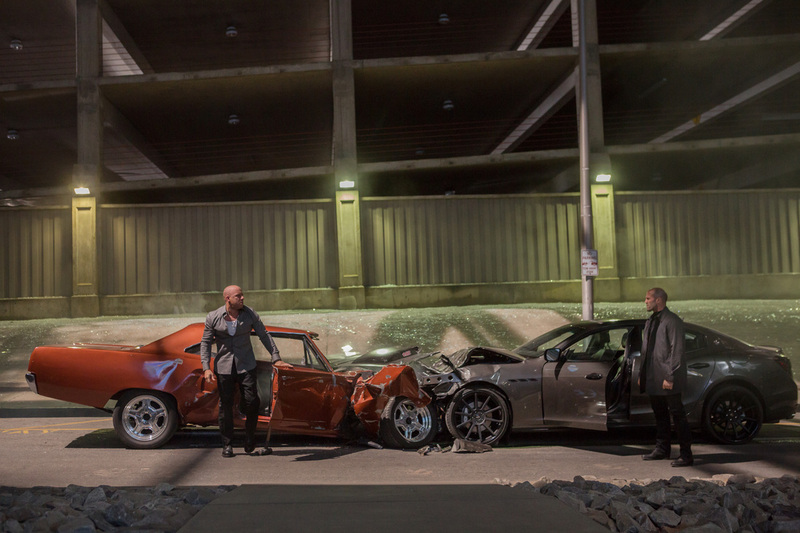 Even cameos from Sean Boswell (Lucas Black) and Hector (Noel Gugliemi), fan-pleasing they may be, can't elevate to the knowingness of FURIOUS 6, where you had an evil doppelgänger team mirroring the vast capability of our gang. FAST & FURIOUS 7 can't be the last ride, can it? Money generation aside, a real high is the film that we deserve and need.